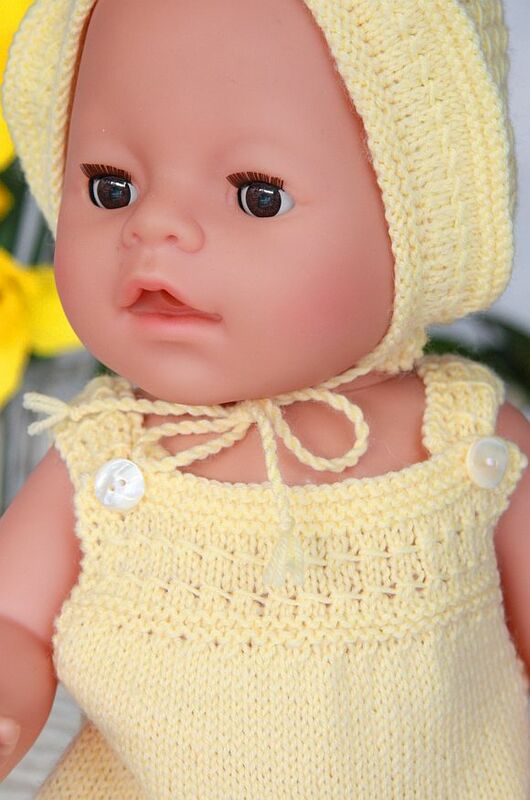 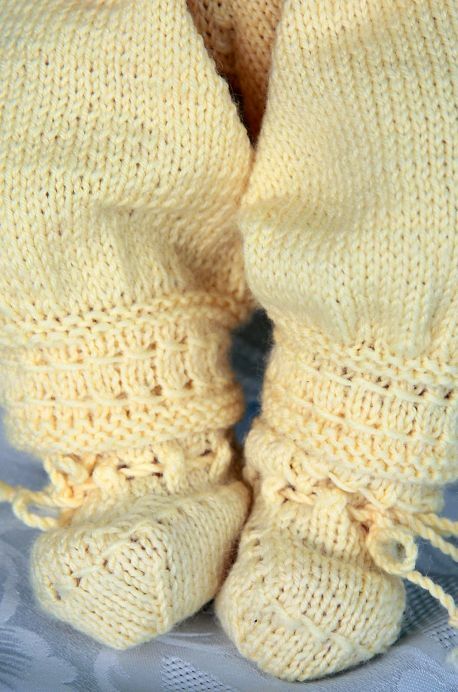 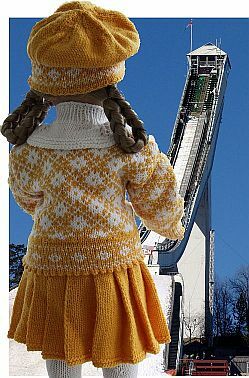 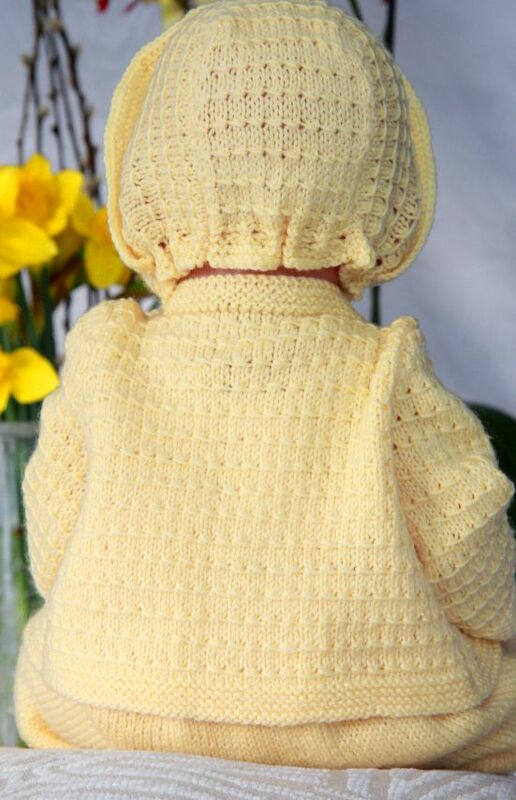 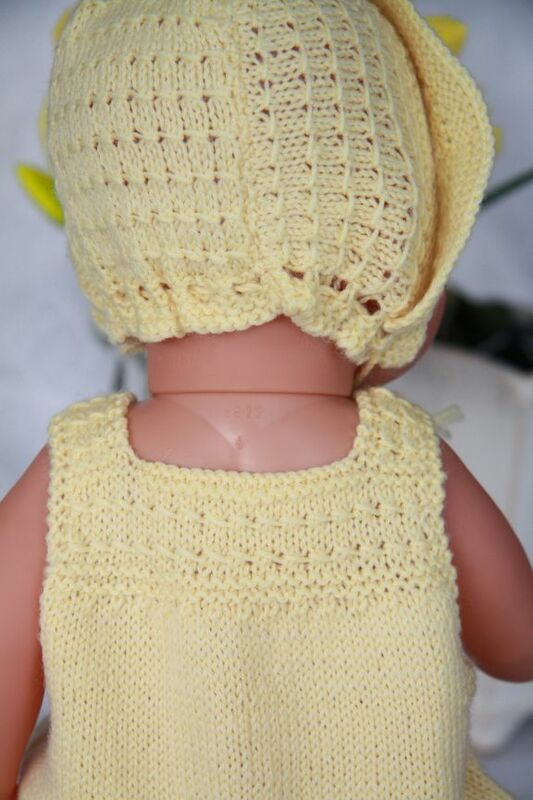 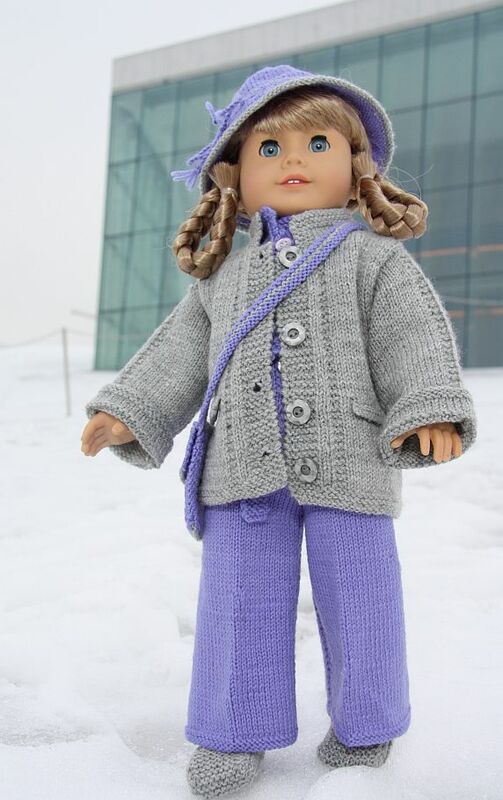 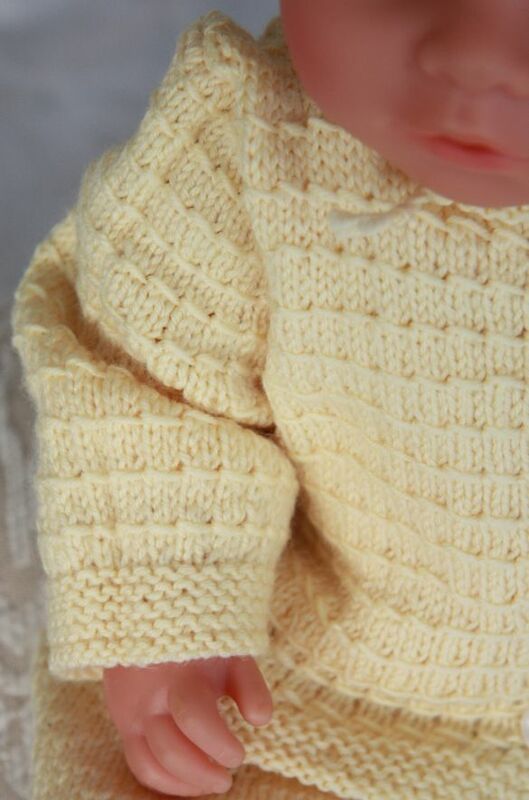 Here is the recipe for an extra nice Easter: Knit beautiful Easter clothes for your doll. 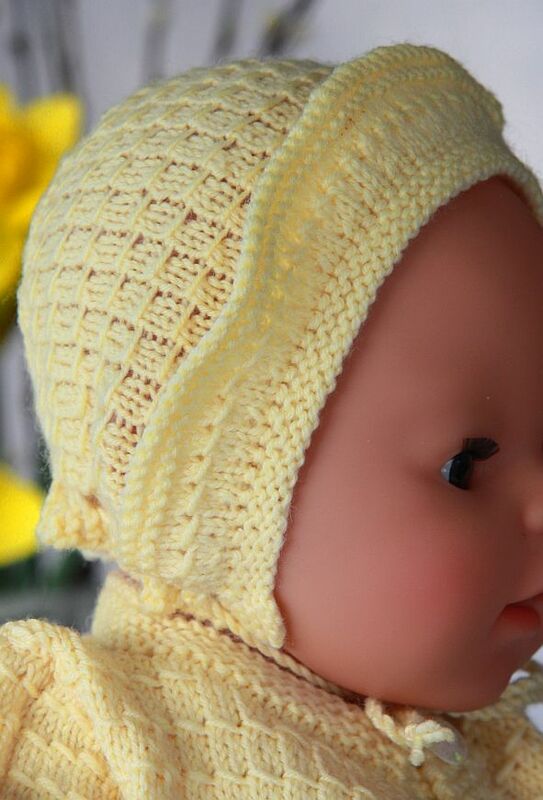 This Eeaster design fit 17"-18" dukker. 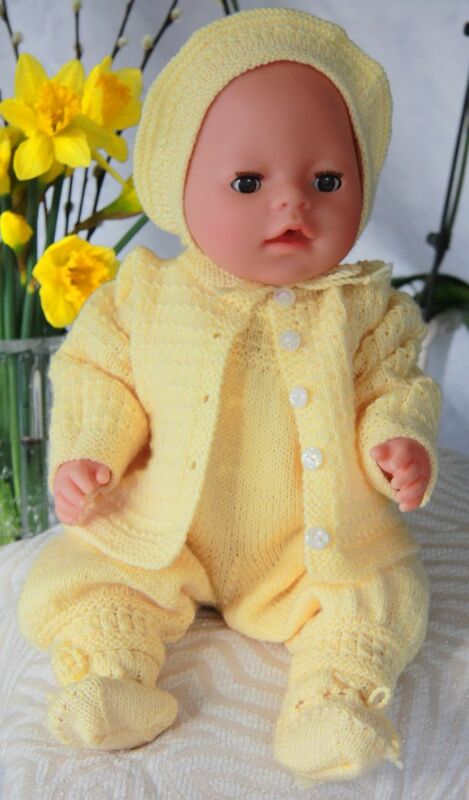 Tim to knit doll clothes for Eeaster. 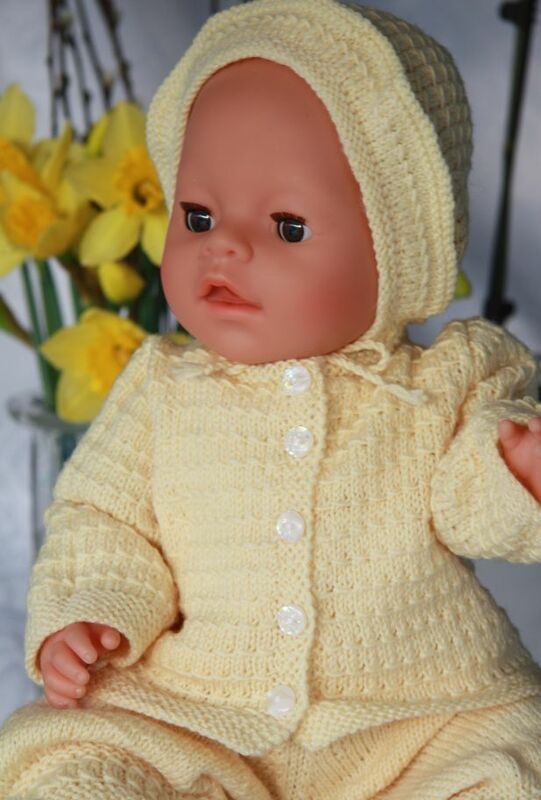 Modell 0041 SUSAN - babydoll dressed in yellow for Eeaster.